As you know, I’m a sucker for Trivia. You name it, I can dig it. I’ll be sharing some of my favorite trivia from some of my favorite things. Joe Pesci wrote the famous “Funny How Scene” in the film. Pesci had apparently witnessed a similar interaction occur between two intoxicated mobsters in Chicago. The scene was filmed without closeups so that the audience can better feel the tension in the room through the reactions of mobsters around Tommy and Henry. -During the ending scene, the voice of Belle, Paige O’Hara really began to cry when the Beast began to die. -In the Chinese (Mandarin) dub for the film, Jackie Chan provided the singing and acting voice for the Beast. 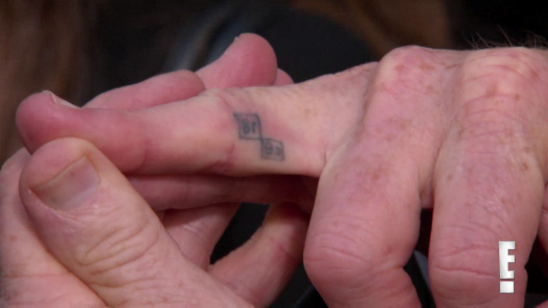 I just think this is so cool/cute: Bryan Cranston has a Breaking Bad tattoo on his ring finger. Have you noticed unlike most cartoons, Ginger and company often changed their clothes and sometimes hairstyles when a new day started. The Teddy Bear was created and named after Theodore Roosevelt. Out on a hunting trip in Mississippi, Roosevelt refused to shoot an elderly sick bear, instead opting to put the bear down in a ‘humane way.’ Political Cartoonist, Clifford Berryman began to draw cartoons featuring the incident. NY Candy Shoppe owner, Morris Michtom saw the cartoon and decided to create a store front window featuring two stuffed bears his wife had made. They called them, “Teddy’s bears”. By 1907, the Teddy Bear was a huge seller but people feared once Roosevelt left office the sale for the bears would diminish. So, they decided to create a new toy for the holiday season, a Billy Possum in honor of William Taft. (Legend has it that while campaigning in Georgia, Taft devoured a plate of Barbecued Possum and potatoes.) Well, suffice it to say, the Billy Possum never took off while the Teddy Bear never dwindled in popularity.